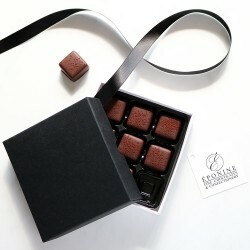 A chocoholic's dream: handmade chocolate truffles, prepared in small batches by the UK's top artisans. This is for the ones with a sweet tooth! 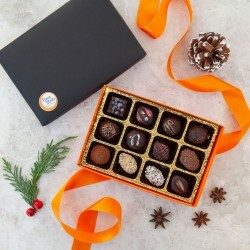 Discover the UK's best chocolate truffles in a range of exciting flavours: sea salt, rum, sour cherry, caramel, chilli, and the list goes on. 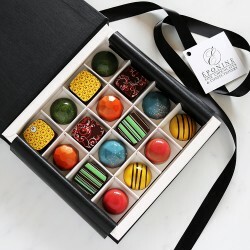 These chocolate truffle gifts are hand-crafted by artisan chocolatiers using the finest ingredients. They'll stay on the recipient's mind long after they're gone! 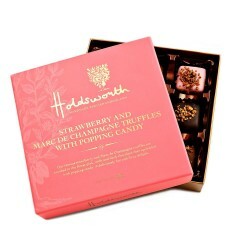 For more unusual picks, such as a chocolate shoe or chocolate bouquet, check out our unusual chocolate gift selection.